Contrary to what most people think, one of the best things for sore knees and knee joint pain is exercise. Enduring severe joint pain is challenging and can take a big toll on our daily lives. Chronic pain affects one in five individuals in Australia and is one of the leading causes of disability. 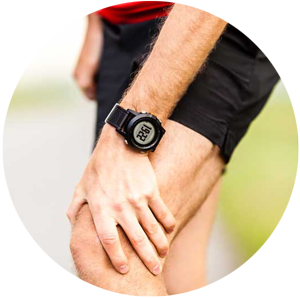 Knee pain is a particular problem and causes can include osteoarthritis, gout, dislocation, bursitis, and tendonitis. And we’re not getting better: A 2015 study reported a 162% increase in knee replacements over last 20 years. So, how do you know if you are at risk? And if you are at risk, what are the steps you need to take to minimise the downside? One of the best things to help prevent knee pain is maintaining a healthy lifestyle. We preach it all the time as physiotherapists but just getting the body moving helps lubricate joints and reduce muscle stiffness. This is very important for knee health. It also helps to maintain your bodyweight, which has a huge impact on the severity, impact, and nature of pain. Secondly, you should follow up with some simple exercises to prevent knee pain that are easy to follow and make a positive difference. Several muscles overlap the knee joint. This can make finding the source of the knee joint pain a difficult task. Most of us sit for long periods of time. Over time, the muscles at the back of the leg (the posterior aspect) begin to shorten and tighten. These shortened muscles then negatively influence the movement of the knee joint and increase pressure. Often a tight muscle on one side of the knee is opposed by a weak one on the other side. This is a common weakness in the quadriceps. Another debilitating issue people face is Iliotibial band (ITB) syndrome. The ITB is a band of thick fascia that connects the hip to the knee. It creates knee stability and helps to transmit forces, but due to the muscle attachments can often become tight and irritated. When this occurs, we can experience side knee pain. 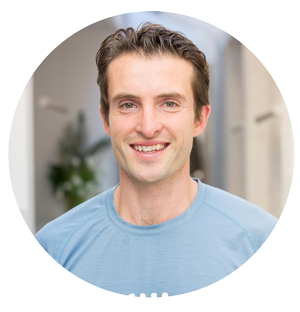 Check out physiotherapist Chris Jellis discussing what to do to reduce tight ITB symptoms. We recommend taking this approach – first aim to release and stretch the tight muscles, then work on strengthening the others. Here are some of the simplest moves that can help you get better and avoid knee discomfort. We recommend that you try to do these stretches after a workout to keep your knees healthy right now. For knee pain relief, try some of these stretches before and after exercise to help alleviate symptoms or prevent injury. Calf muscles are often neglected in stretching routines. Runners and people that prefer high impact workouts, contract their calves quite strongly thanks to the increased time spent on the balls of the feet. Calves get tight from impact and should to be stretched for at least 30 seconds each side. A great exercise to do is the calf wall stretch. Face a wall and flex your right foot positioning your heel where the floor meets the vertical surface. Toes should be elevated while keeping your heel on the floor. Put your hands on the wall and lean into it. Feel the stretch in the back of the leg around the calf area. Repeat with the left foot, feeling the pull up the back of the leg. A big mistake people make is not holding the stretch long enough. Remember you are fighting one of the strongest muscles in the body that can carry all of your body weight, so you need to hold for an extended period. We recommend 3 x 120 second holds per day. This is a good exercise to minimise knee pain after running or exercise involving a running motion. The calf smash lets you work out the tension in both your calf and your hamstring. Tight hamstrings and knee pain often go together. Sit on the ground and pull your right foot close, so your knee is bent. Wedge a cricket or hockey ball below your knee, sandwiching it between your calf and hamstring. Create a “compression force” by pulling your shin toward you and rotate foot in alternating circular movements. This stretch can help with side knee pain if performed correctly. Lastly is to attempt to strengthen the quadriceps, particularly the vastus medialis, or VMO. The VMO stretch is not only a powerful knee extensor but it also helps control the kneecap as it moves and also helps to stabilise the knee. These are just three of the many exercises that you can use to alleviate knee pain. As your muscles grow stronger, you will be able to increase the number of exercise and repetitions for each of them to improve your knee strength. For a healthy knee, you might need to do these exercises at least four times a week at the start, before you can notice improvements. 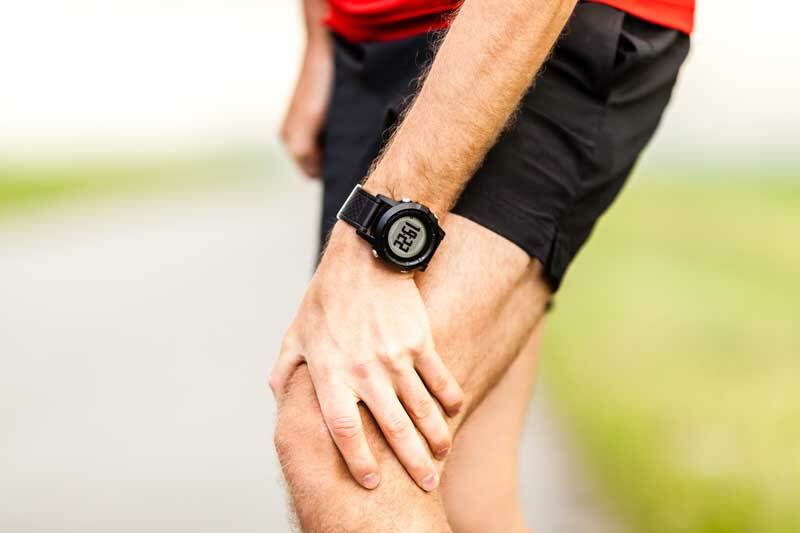 There are many different causes of knee discomfort, pain, and trauma. So before any of this, if you are suffering from sore knees we recommend you come and see one of our physios for an assessment and correct diagnosis. Once you have this, we can set you up with the right program to get you moving and healthy again.